Google explains the 2 OS decision: "Choice will drive innovation". Google explains the 2 OS decision: “Choice will drive innovation”. Steve Ballmer spent some time on the stage at D today, speaking about a number of topics. The questions got onto the topic of Google, and Ballmer countered with his own: Why 2 OS’s? Though it’s easy to say that Windows in fact has a few of its own, all in current use and development, it’s a fair question and one that I feel needs addressing. Instead of taking this place to spin things as to why Google is better than the rest (I may love the company, but I’m not a fanboy by any means), I’d rather talk about the real reasons. According to a Google spokesperson, “Android was designed from the beginning to work across a variety of devices from phones to set-top boxes to netbooks”. We will no doubt see numerous implementations of of the Android OS in the coming months and years, but it’s obvious that Android’s niche is really the mobile phone market. Android is based on applications. The OS itself is impressive, but what really makes it tick are the layers that we choose to run on top of it via apps. I’m pretty sure that I could find someone to port a desktop version of Android, but it’s not going to be that entirely useful for me. As a media outlet, Android is Google’s top choice. But as a production platform, especially for those who spend most of our time online, Chrome OS will reign. As I sit here in front of a machine that is capable of rendering 3d video, processing professional-quality audio and sounds slightly like a small jet fighter, it all seems a bit like overkill. For the vast majority of my day, I am simply clicking around to find the news and then typing it. I honestly don’t need all of this ability, or the processing power overhead that is required to run it. For the vast majority of people like me, Windows, OS X and even Linux are overkill. Every application that I’m running right now has a web-based counterpart that would work equally as well in Google Chrome OS. Is Android capable of running the same things as Chrome OS? Most likely. But again, the issue becomes overhead and overkill. We’re moving away from large devices, and into an even more mobile environment. The iPad is on track to sell 3 million units by the end of the year, in case you need proof of that fact. Why would I need a full *Nix-based OS like Android, when all I really want is to work on the Internet? The overhead is unnecessary. Conversely, why would I want to force Chrome OS to be as capable as Android, when all I really need is to be on the Internet? Microsoft, for years, has been making software that’s bloated. When Windows XP came out, we had nearly 1 GB of registry entries. At the time that was enough to blow our minds. Now, we may laugh at only having 1 GB, but that only goes to further the topic. As we get nearer to the release of Chrome OS devices, I think that this is exactly what we’ll see. Having the choice of 2 entirely separate operating systems, in this instance, is a very good thing. 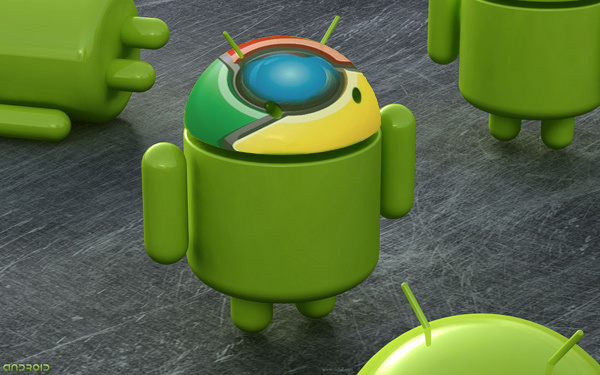 A developer might start out using Chrome OS, but then find that they need the abilities of Android. Instead of mashing together a bunch of code and crossing fingers, why not have streamlined choices that will allow the best user experience?